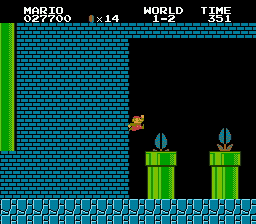 NES Super Mario Bros. (PRG0) "warps" in 05:01.27 by Mana.. The classic game that we grew up with completed incredibly fast. The length is 5:01.27 (18076 frames), from power on to touching the axe. It is 148 frames (2.47 seconds) faster than the previous version, which beat something that was thought to be perfect.